Time to hit the books! For those that hid comic books inside their schoolbooks in elementary school, there is now a grown-up version. 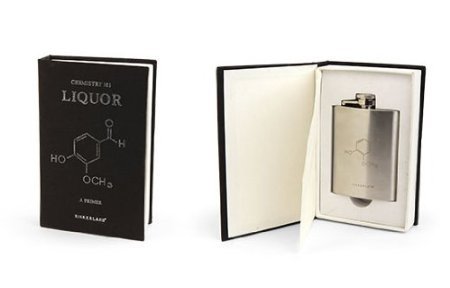 The Chemistry 101 Flask Book is the college student’s answer to getting through long study sessions (by passing out). Who ever said studying can’t be fun? Cheers!